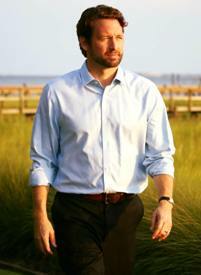 Among the most impressive Democratic U.S. House pick-ups last month was the race in South Carolina’s 1st Congressional District where attorney Joe Cunningham (pictured) defeated state Representative Katie Arrington by 1.4 points. The win was the closest race in the Palmetto state in 126 years and ended the largest Democratic pick-up drought in the nation at 61 consecutive failed attempts dating back 30 years. Democrats had not flipped a GOP-held seat in South Carolina since Liz Patterson won the open 4th CD seat in 1986 previously held by Republican Carroll Campbell. Patterson narrowly won by 4.1 points over Bill Workman and carried the district two more times before losing by 2.9 points to Bob Inglis after redistricting in 1992. Since Patterson’s 1986 win, Democrats had suffered defeats in 58 general election contests involving GOP-held seats in the state plus three special elections in districts vacated by Republicans. Through the 2018 cycle, just 12 of the 400 South Carolina U.S. House races since 1900 have been decided by less than five points (3.0 percent) with only 28 decided by single digits (7.0 percent). The 1.4-point margin in 2018’s 1st CD race is now the most narrowly decided among the last 424 U.S. House races in South Carolina dating back to the 1894 cycle. The race surpassed the aforementioned 1992 contest between Inglis and Congresswoman Patterson. [Note: A March 1894 special election in the 1st CD between two Democrats – former state Senators James Izlar and James Stokes – was decided by 2.8 points]. The last time a U.S. House race was more closely decided in South Carolina was the 7th CD race in 1892. In that election, Republican customs inspector George Murray eked out a 0.4-point victory against Democrat E.M. Moise. Murray’s 1st CD win two years later in 1894 (seated in June 1896 after successfully contesting his race against former Congressman William Elliott) was the last by a Republican for the office in the state until Democrat-turned Republican U.S. Representative Albert Watson carried the 2nd CD in 1964. In relative terms, the 2018 cycle was very competitive in South Carolina across the state’s congressional districts. The seven U.S. House elections were decided by an average of 21.7 points – down from 30.4 points in 2016 and 45.4 points in 2014. All seven races were more closely decided than two years prior: by 20.3 points in the 1st CD, 10.6 in the 2nd, 9.0 points in the 3rd, 13.2 points in the 4th, 5.0 points in the 5th, 0.6 points in the 6th, and 2.7 points in the 7th. In fact, the average victory margin in the state’s congressional races has only been lower in one cycle across the last 60 since 1900: 20.6 points in 2008. With Democrats putting an end to their streak of failure in South Carolina, the current biggest pick-up drought for the party is now in Missouri where Democrats have failed to flip a seat in 65 consecutive elections since 1994 – doing so in all six GOP-held districts last month. The last time a Missouri Democrat picked up a Republican U.S. House seat was after redistricting in 1992 when Pat Danner upset nine-term incumbent Earl Thomas Coleman by 10.9 points in the state’s 6th CD race. The next largest Democratic drought is in Ohio (55 straight elections since 2010) followed by Tennessee (44 since 2004), Indiana (36 since 2008), Alabama (29 since 2010), Kentucky (27 since 2008), and Wisconsin (26 since 2008). The party has also failed to flip a seat in 39 straight races in North Carolina since 2010 excluding the 9th CD which is likely to see a re-do special election in 2019. Democrats also ended substantial pick-up droughts in several other states this cycle: in Georgia (50 seats since 2006), Texas (50 since 2014), Oklahoma (35 since 2002), Washington (30 since 2002), Utah (20 since 2002), and Kansas (18 since 2008). 1 Comment on "South Carolina Democrats End Party’s Largest US House Pick-Up Drought"
1. It is worth noting that a) the present Seventh District is the “interrupted” lineal descendant of the 6th that existed prior to the 1991-92 redraw, rather than the “shoestring” district of the last quarter of the 19th Century; b) George Washington Murray was the last Republican elected from the state until party switcher Albert Watson in 1964 (as noted), and is also the last African American elected from the state until James Enos “Jim” Clyburn – who is a distant relative of Murray – in 1992. 2. Given its (relative) competitiveness of the recent past, the Charleston-based seat might have gone from R to D even with Representative-Governor-Representative Sanford as the nominee. At any rate, the flip of this longtime R-held seat is in keeping with the Democrats’ comparative electoral advantage in coastal and/or metropolitan venues (others include the OK-5, which last voted D in 1974 and MI-8, which did so in 1998).